For a lot of us this week, it was back to work, back to normality, which is always depressing to be fair, so for me, Saturday couldn't come quick enough. News came through on Thursday that some of the squad & Neil Warnock had come down with a virus that is currently going around the training camp. Mick Jones came in to manage the team in place of Warnock for the FA Cup 3rd Round tie at Elland Road against Birmingham City. As expected, there were quite a few changes to the squad, Jamie Ashdown started in favour of Paddy Kenny, Lees, Drury, Hall, Brown and White were also handed starts. 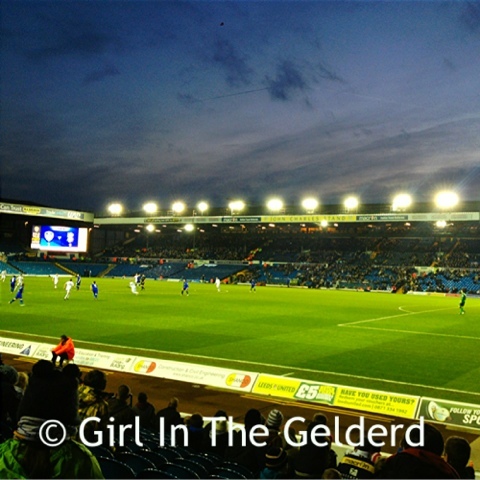 The team came out to a very quiet Elland Road, there was pretty much nobody around me which felt strange. 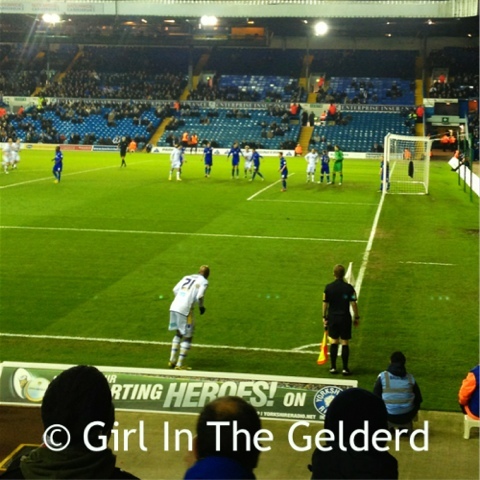 On the 13th minute, we were awarded a free kick after Curtis Davies fouled Luciano Becchio. Ross McCormack took the free kick and sent a great ball into the area, Jason Pearce got his head on the ball but was eventually denied by the post. Norris also had a chance to open the scoring on the 19th minute but Birmingham keeper, Doyle made a brilliant save. Ryan Hall took the subsequent corner but Doyle managed to catch it. The game hadn't been entertaining so far as such, but it had been slightly better than Bolton with us having the better of the chances, however we were letting Birmingham into the game and on the 30th minute, Gomis missed just left of the goal. Two minutes later Wade Elliot managed to score a fantastic goal from outside the area for Birmingham, right into the top corner, Ashdown had very little chance of getting to it. 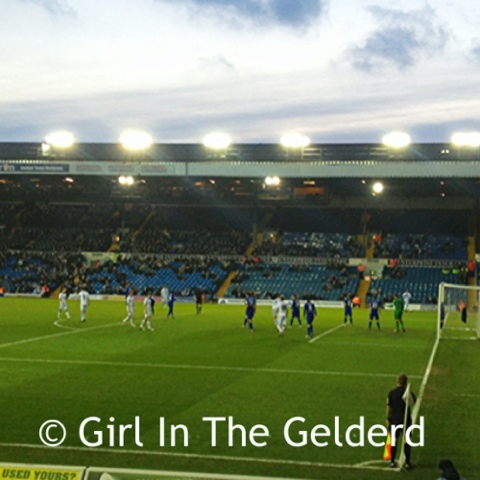 Just before half time, Ross McCormack missed just to the left of the target to try and even the score. The ref brought the half to an end. Sam Byram and El-Hadji Diouf were both brought on after half time, in place of Ryan Hall and Aiden White. 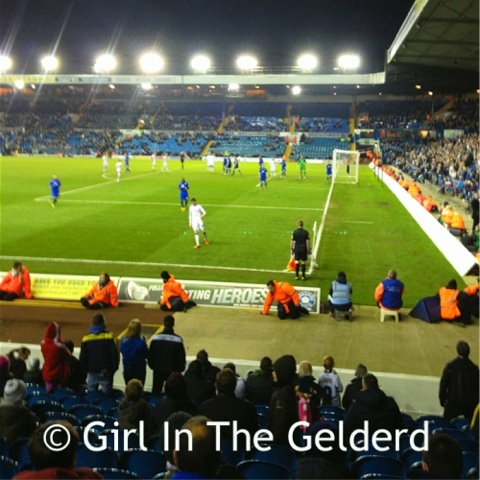 Apparently Warnock called Mick Jones at half time and told him to make these changes. Luciano Becchio had a great chance to equalise on the 48th minute but he hit the ball straight at the keeper, this had been our best chance all game. Birmingham began to pile on some pressure and had plenty of chances to double their lead but on the 60th minute it was Luciano Becchio who got himself into a great position inside the area to score his 19th of the season in all competitions. Shortly after the goal, Luciano Becchio and Will Packwood both got up to try and win the ball, Packwood landed funny on his leg and went down, play stopped immediately. You could tell by the players reactions, it was serious, Becchio especially was visibly upset. Mitch Hancox came on and replaced Packwood as the medical staff stretchered him away. Both sets of fans and players applauded the young American off. Alan Tate made way for Davide Somma on the 79th minute as we were trying to get a winner but in fairness, in the latter end of the game, the chances were all Birmingham's. Chris Foy brought the game to a close and it ended all square, one a piece. The replay will be played at St Andrews on Tuesday 15th January and should we win, we will play Tottenham Hotspur at Elland Road on the 26th/27th January. Another un-entertaining game to be honest, but, like I said, not as bad as Bolton. Our games are won and lost in midfield and half the time, we might as well not have one. Defending wise we allow teams too much space giving them too much time on the ball. Same goes for creative midfield, we can get into some good positions, but then we stop, instead of going forward we just stand still, giving defenders a chance to get back and making us too predictable, and then we get closed down or pushed back and the ball goes back to the keeper. Very frustrating. Happy that Becchio added a goal to his many others this season, really hoping we can keep hold of him, I sometimes don't know where we'd be without him.